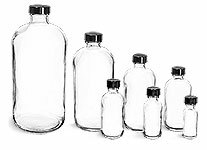 Clear glass flasks are available for packaging products similar to spirits, syrups, hot sauce and more. 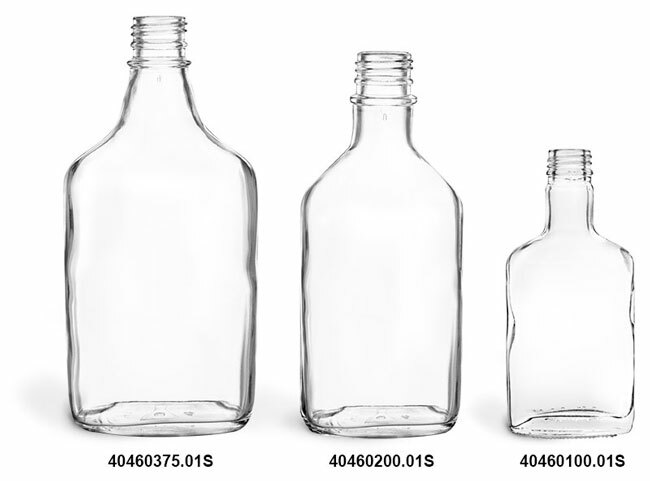 The tamper evident caps have a plastic ring that when first opened detach from the upper portion of the closure and remain on the neck of the bottle. 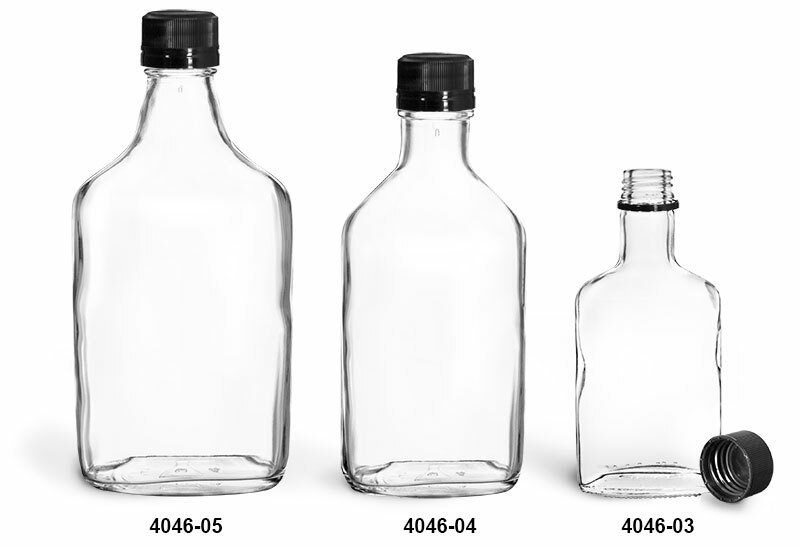 The clear glass flasks are shaped to provide front and back panels with smooth areas for labeling and deco applications.